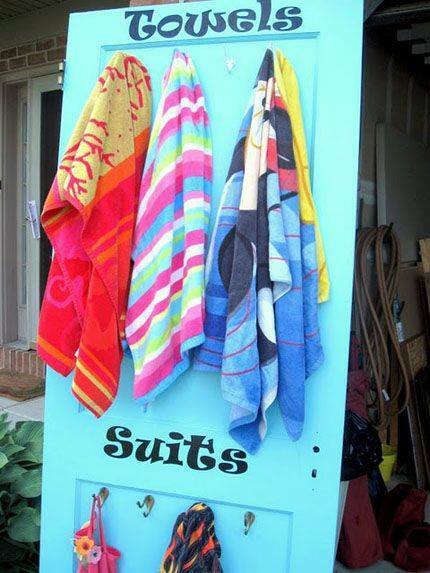 Use a door as a place to keep wet towels and swimsuits. 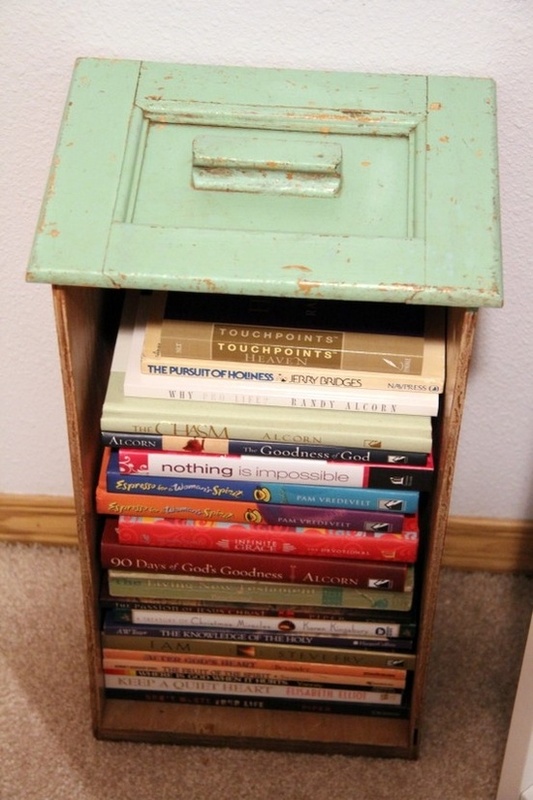 Repurpose and old drawer into a vintage-looking bookshelf. 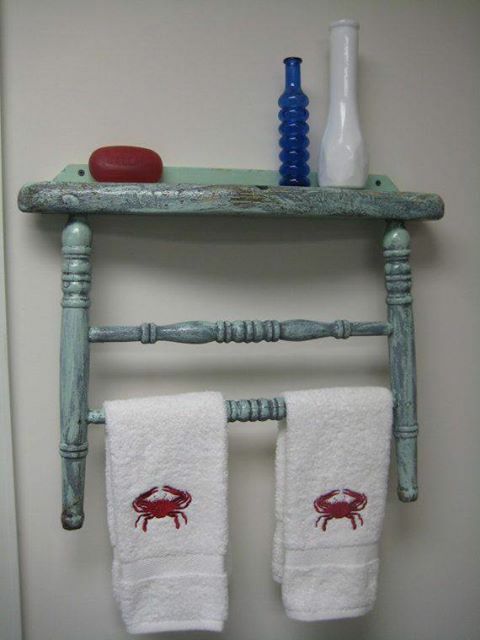 Turn a chair into a unique bathroom or kitchen fixture.